In 2009, French luxury brand, Hermès, launched Petit h: a “re-creativity laboratory” of sorts that up-cycled remnant materials from the Hermès factory floors into new designs and works. Under the guidance of Mme Pascale Mussard, Petit h re-imagines and reuses various Hermès textiles – particularly leathers – into everything from birdhouses, pinwheels, stool tops, and countless other home wares. In Singapore petit h will take place at Hermès Liat Towers and will officially open to the public tomorrow to 11 August 2013. You won't expect the artistically luxurious recycled pieces with Hermès elements in them. A definite must-see. Also a legit excuse to fly from Indonesia to Singapore. 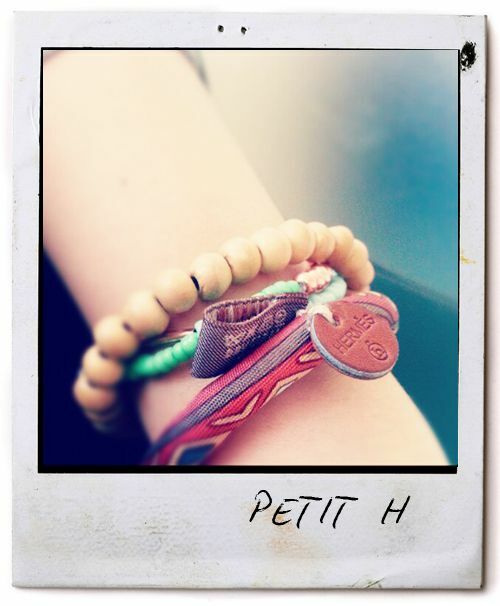 I'm still loving the silk knot bracelet my boyfriend got me from petit h in Hong Kong a while ago. Apparently they have a longer version which can be used as a necklace or a double wrap bracelet (see first image). According to Bagaholicboy they are SGD240 each. I guess it's time to collect. Anyway, watch petit h in the making here. These are beautiful! 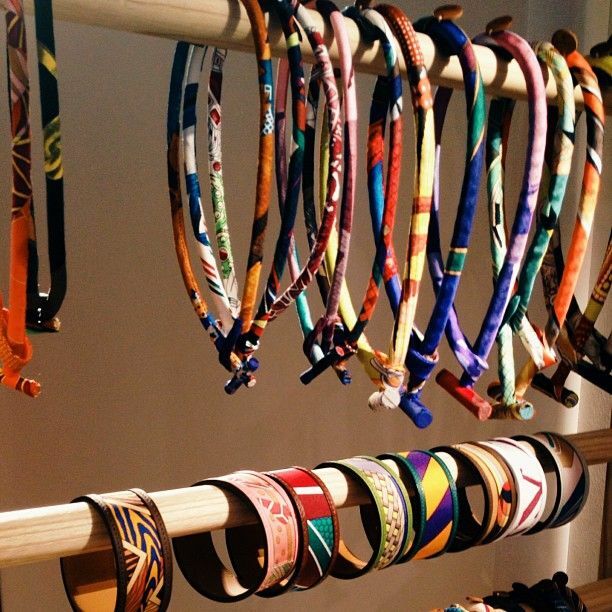 i love Hermes!